Down in New Orleans where the blues was born. It takes a cool dog to blow a horn. On LaSalle or Rampart Street, the combo’s there with a mambo beat. The Mardi Gras Mambo. It’s that time of the year again. Mardi Gras. I know what you’re thinking. Party on Garth! Oh, sure, there are the parades like Rex, Endymion, Bacchus, and Zulu, where people will do just about anything (including gettin neked) for some plastic beads worth ten cents and probably made in China. Mardi Gras is one huge party. In fact, the City of New Orleans practically shuts down during Mardi Gras. Mardi Gras always makes me think of the word Lagniappe (pronounced lan-yap). What is Lagniappe you ask? Yes, it’s a Frenchy-French (possibly Spanish in origin) word. But it’s a beautiful thing. Lagniappe is something you receive when you don’t expect it. Something extra. Something good. Perhaps a gift. If you’re a positive person with a great outlook, you probably receive Lagniappe every day. I know I do. If you think about it, every day is a gift. So really, everyday is Lagniappe. For me, every time I see my children succeed and be successful, it’s Lagniappe. When I see my wife doing well and happy – Lagniappe. When I see my employees happy to be at work, doing a great job – Lagniappe. And when I see a dog (or pig – and I’ve saved several) get rescued from the animal shelter and get humans of their own, yes – Lagniappe. You get the picture. So, I hope you receive Lagniappe often. But just as importantly, you give someone some Lagniappe. No matter big or small. People notice, and it will hardly ever go unappreciated and most definitely will be passed along. So, drink your Hurricane and eat your King Cake (but watch out for the little plastic baby in the King Cake – not really edible). Party on and have a great time. But don’t forget about Lagniappe. When you give it, you’ll get it back. Even when you don’t expect it. You know what I’m talkin’ bout! 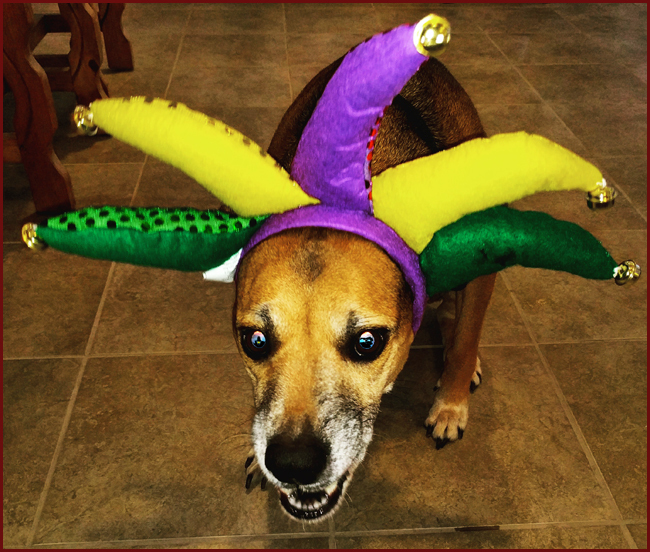 Happy Mardi Gras from the Dudley Files! This was such an uplifting blog! Thanks!